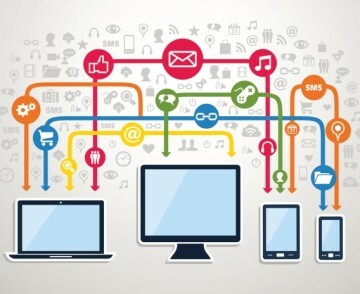 The Internet of Things (IoT) is a network of physical objects (devices, vehicles, buildings, and other items) that are embedded with electronics, software, sensors, and network connectivity to collect and exchange data. Enterprises are adopting IoT solutions for the benefits they offer; such as, optimization in operations, reduction in costs, and improvement in efficiency. The development and adoption of IoT is being driven by multiple factors, including easily available low-cost sensors, increase in bandwidth and processing power, wide-spread usage of smartphones, availability of big data analysis tools, and scalability of internet protocol version 6. Organizations are now starting to focus on external benefits such as generating revenues from IoT-enabled products, services, and customer experiences. Several emerging, industrial IoT applications require coordinated, real-time analytics at the ’edge’ of a network, using algorithms that require a scale of computation and data volume / velocity. However, the networks connecting these edge devices often fail to provide sufficient capability, bandwidth, and reliability. Thus, edge testing is very essential for any IoT application. IoT communication protocol and device interoperability testing involves assessing the ability to seamlessly interoperate protocols and devices across different standards and specifications. This includes security aspects like data protection, device identity authentication, encryption / decryption, and trust in cloud computing. Network impact testing involves measuring the qualitative and quantitative performance of a deployed IoT application in real network conditions. This can include testing IoT devices for a combination of network size, topology, and environment conditions. This covers complex aspects like timing analysis, load testing, real-time stream analytics, and time-bound outputs, under the extremes of data volume, velocity, variety, and veracity. Includes the testing of all functional and non-functional use cases of an IoT application, which also includes user experience and usability testing. Successful IoT means making sure that your new devices work as expected, work in combination with each other, and work with existing technologies. 1· Tool and automation, even in testing, must address tasks that are repeated at least 3-to-5 times before any “cost savings” are likely to be realized. Likely automation candidates include: regression testing, configuration management for continuous integration and builds, modeling, data analysis, etc. 2· Tools and automation must help in tasks which humans dislike or are not good at. Examples here include: planning, risk assessment, test data generation, design of code and tests, documentation retention. 3· Tools and automation need management and staff support including schedule, budget, and skilled human resources, to be successful. For example, just buying a tool will not help if the staff receiving the tools does not have the training or skill to use it, much less are not given the time and money to implement the automation. 4· Tools and automation must help in areas such as project knowledge retention or generation. Examples here include capturing code and test results, test documentation, mind-maps, or models of team thinking.